Housebuilding figures under Conservatives lowest since the Second World War. Completions between 2010 and 2019 will be around 130,000 per year – well down on the 147,000 of the 2000s or 150,000 of the 1990s. England is on course for its worst decade for housebuilding since the Second World War after a big drop since the Conservatives came to power, new research shows. The number of completions between 2010 and 2019 will be around 130,000 per year – well down on the 147,000 of the 2000s or 150,000 of the 1990s, a think tank has found. The figure is just half of the level in the 1960s and 1970s, continuing a “50-year pattern” that has seen successive governments failing to build enough new homes, the Centre for Policy Studies said. And the picture is even more gloomy when England’s growing population is factored in – with one new built for every 43 people in the 2010s, compared with one for every 14 people in the 1960s. Robert Colvile, the think tank’s director said: “The housing crisis is blighting the lives of a generation, and robbing them of the dream of home-ownership. Mr Colvile said there were “encouraging signs that housebuilding is picking up”, after the number of completions topped 160,000 in 2017-18, the highest figure for a decade. Official figures show that completions reached a modern high of 170,610 in 2007-08, before the financial crash sent the trend of small annual increases into reverse. In 2012-13, under 108,000 homes were built and the annual total only finally crawled back up above 150,000 in the last financial year. As The Independent revealed, there is also growing concern at the tiny number of low-cost homes being built, even as the numbers finally rise. Just 5 per cent of those to be built by 2022 under the government’s £9bn affordable housing programme will be the most affordable “social homes”. It means 237,500 of the 250,000 planned are likely to be more costly “affordable homes”, which can be sold for hundreds of thousands of pounds or rented out at up to 80 per cent of full market value. In October, Theresa May did pledge to free local councils to spark a housebuilding revival by finally lifting the strict cap on their borrowing to fund new developments. The Centre for Policy Studies said that, between January 2010 and June 2018, housing completions in England stood at 1,089,190. To match the total in the 2000s during the remaining 18 months, developers would need to build at 253,700 new houses per year – a rate not achieved since 1977. Across the UK, the pattern was similar, with housebuilding falling from a peak of 3.6 million new units in the 1960s to 1.9 million in the 1990s and 2000s, with the 2010s set to come in lower still. The total between January 2010 and December 2017 stood at 1.23 million, way short of what was required to make it feasible to match the previous decade by the end of 2019. Given the quality of what's being built , many have dodged a rather expensive bullet ??? Councils " Ripped off " by private landlords, experts warn. New figures reveal English councils spend almost £1 BILLION a year on temporary housing. Inevitable ... given the present state of the housing market ! Grenfell survivors seek radical reform of social housing oversight. Group wants powerful watchdog that could jail negligent housing managers. They want changes as radical as those made to oversight of the banking industry after the 2008 financial crash and have described the current system as “the dog that didn’t bark”. Natasha Elcock, the chair of the survivors’ group Grenfell United, has told supporters of plans for “a movement to ensure that people up and down the country are listened to and are heard and are in a safe environment”. Members of the group have made contact with residents’ associations at other social housing blocks and are calling on tenants to sign up to residents associations to start to amplify their voices. Asked about the initiative, the housing secretary, James Brokenshire, appeared to be receptive and told the Guardian he wanted to make social landlords more accountable to tenants and was conscious of the “need to increase regulation”. Grenfell residents told the first phase of the public inquiry into the fire that Kensington and Chelsea Tenants Management Organisation repeatedly ignored their concerns about the standard of workmanship during a refurbishment that involved wrapping the tower in combustible materials. Ed Daffarn, who escaped from the 16th floor, warned eight months before the fire that “only a catastrophic event will expose the ineptitude and incompetence of our landlord”. Daffarn is now driving the move for more urgent reform of the social housing sector as part of Grenfell United. He is also a member of an independent social housing commission set up by Shelter, the housing charity, alongside the former Labour leader Ed Miliband and the Tory peer Sayeeda Warsi. It will publish a report next Tuesday that is expected to echo the Grenfell families’ demands for new regulation. Grenfell United wants senior managers to have a statutory responsibility to keep tenants safe and a more proactive regulator that targets problems rather than simply responds to complaints. The public inquiry into the disaster will rarely sit this year, causing concern that momentum for reform could wane. Lawyers for the building companies and the council landlords involved in the refurbishment of the tower are being given time to trawl through more than 200,000 documents being disclosed before the second stage of the inquiry, which will scrutinise the management of the tower, communications with residents, its refurbishment and fire safety. The inquiry chairman, Sir Martin Moore-Bick, said in December that the hearings were unlikely to start before the end of 2019. The campaign for new regulation is a further sign that the bereaved, survivors and residents are opening a new chapter in their activism nearly 19 months after the fire in June 2017, which claimed 72 lives. Brokenshire said he was “struck by the need for clear and effective redress in the area of social housing and ensuring tenants are able to hold their landlords to account”. The government is expected to publish a white paper on social housing this year, which is expected to contain proposals for a new system of regulation. 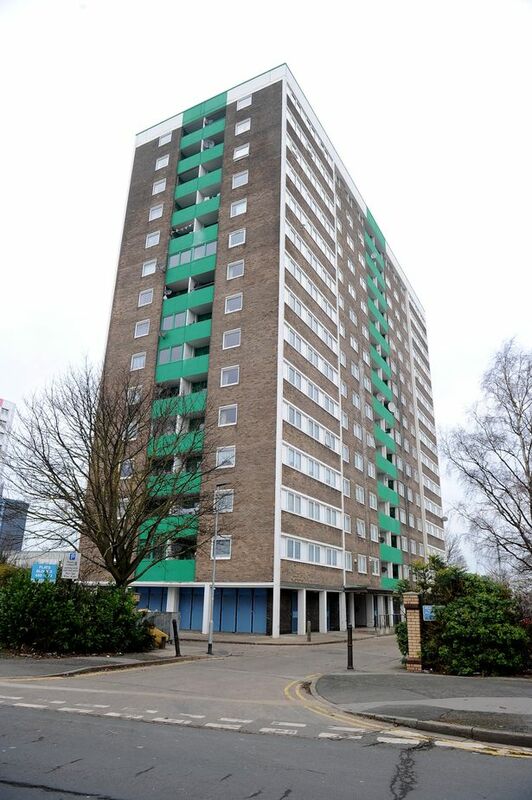 Oh dear , tower blocks in the news ... again ? Joe Davison, 32, a wheelchair user spent his New Year at the Premier Inn in Hull's city centre. He said: "I ended up being in a hotel for three days. I've been gone for about a week from last Thursday (December 27) to this Thursday (January 3.) They put me in the Premier Inn because there was no where else for me to go. "I only realised the electric (had gone) after I'd been out for the day. I came back and there was a letter saying there had been an incident and the council asked where I had been all day. I said, 'I do go out you know'. "That's when they put me up in the hotel. I've come back when they told me to and because the electric is being powered by a generator it is still a bit on and off." Mr Davison said there are still appliances he is unable to use, such as the TV, washing machine and tumble dryer. He said: "I've been told that it should be back to normal by next week. I've lost everything, all of my food from Christmas and for New Year because it has all gone off. "The bin chutes are all full because no one's food is any good. I was meant to be going to a friend's for New Year's Eve but because I had to be back in the hotel for 10pm I couldn't go. "The council paid for the hotel but I had to pay for my own food but they told me there's nothing they can do about that. It's ridiculous." 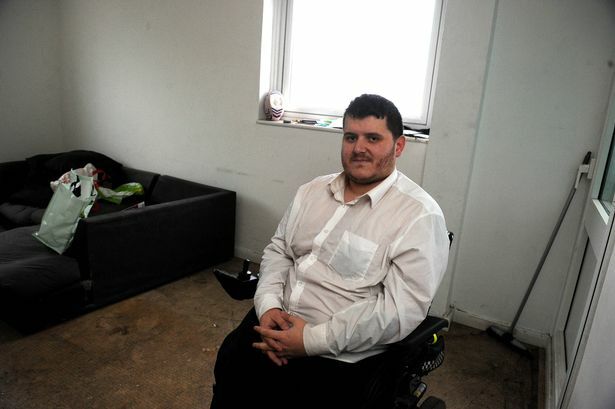 Question ... what is a disabled wheelchair user doing in a tower block in the first place ? Social housing report calls for massive overhaul of tenants’ rights. Renters need better deal to prevent another Grenfell disaster, says the Social Housing Commission. England needs 3m new social homes by 2040, says cross-party report. Commission including Sayeeda Warsi and Ed Miliband has been researching ways to tackle housing crisis. North West affordable homes number " 70% off-target " since 2015. Fourteen thousand affordable homes were built across the region, but council forecasts say more than 42,600 are required. Trina Watson, from the Tenants' Union, said the number built "pales in comparison" to the need. The government said providing fair social housing was a priority. It plans to build 250,000 homes by 2022 across the UK, including homes for social rent. But national figures show there are only three areas in the north-west where the affordable homes target has been met - Liverpool, Wigan and Halton in Cheshire. Councils in England are obliged to compile Strategic Housing Market Assessments (SHMA) that calculate the number of affordable homes their area needs each year. The number of affordable homes built in east Cheshire between April 2015 and April 2018 is 2,873 fewer than the 4,203 homes than Cheshire East Council predicted were needed over that time in its SHMA, written in 2013. The number built in Wirral is 2,576 fewer than its forecasted need, and in Manchester the figure is 2,600 less. In Barrow-in-Furness just ten affordable homes were built between April 2015 and April 2018. Cheshire East Council said it had "exceeded" a newer target for affordable homes, which was calculated using a different methodology and approved by a government inspector. Wirral Council said new government projections indicate their need for new housing is lower. "We also do everything within our power to encourage developers to build affordable housing", a spokesperson said. Greater Manchester mayor Andy Burnham said 50,000 affordable homes would be built across the conurbation by 2038 to tackle the region's "housing crisis", in plans outlined last week. Ms Watson said the shortfall was causing more people to be "pushed into unsuitable unsafe private rented houses"
Why aren't enough affordable homes being built ? It's clear that there's a need for more affordable housing, but the obstacles to building it are complex. Forty years ago, 40% of all newly built houses were council properties. In 2017, it was less than 2%. Since 2012, rules have capped the amount councils can borrow to build new ones, and housing associations have had difficulties borrowing the money they need to build too. A lot of affordable housing is actually built by private developers, either in partnership with councils or in exchange for planning permission to build more lucrative housing. But there are often concerns about the time it can take for those developers to build, and in some cases they can argue that building or contributing to the building of affordable units would render their developments unviable. But the government has removed the cap on borrowing for council house building, and has set aside £2bn to build new homes over the next ten years. I doubt very much that the government can initiate and complete the new housing this country desperately needs within any timetable. The need for housing has grown faster than the supply for decades. Here we are in a deep housing crisis and government throwing money at it expecting ti to just happen. The government seems to think that low cost housing is cheap and nasty buildings in unsafe locations (flood planes and bad pollution). The rise of part ownership seems to have little to do with low cost housing in our local area. These part ownership seem to be at very similar cost to mortgaged homes. They are not low cost housing aka 100% social housing with low rent. After WW2 something like 60% of UK housing was local authority (council) housing because of the need for low cost housing after the war. The size of the housing problem is equal to or worse than then, so they need to start building new social housing fast. Prefab or modular buildings is the way forward and for full home ownership. Chucking vast sums of money to private limited company housing developers will not provide the low cost housing required. Out local council is selling off council houses very cheaply to existing tenants and not replacing the numbers, so every year there is less and less low cost housing. So they are making the crisis worse every year. The situation is stupid. They are building "low cost" housing in this town too close to busy road junctions which have bad pollution levels.